Gabrielle Union redefined a retro hairstyle by slightly tilting it to one side. 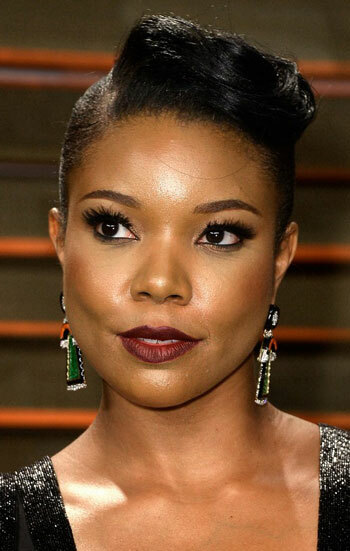 Do..
Gabrielle Union redefined a retro hairstyle by slightly tilting it to one side. Do we love it? With all our hearts! If you’ve got naturally thick and coarse hair, put it to good use by doing a highly sculpted top updo. Just make sure that the sides are slicked out really well to emphasize the contrast. Do give this ultra cool ‘do a try on your big party tah-night!